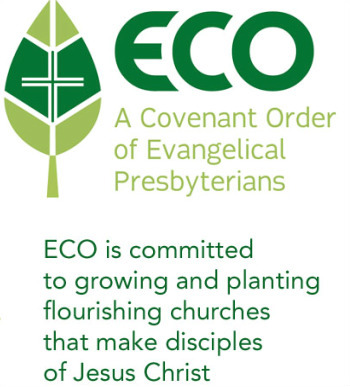 ECO was established in January 2012 as an outgrowth of the Fellowship of Presbyterians. ECO is both reformed and evangelical in its theology. We uphold the sanctity of life from conception until natural death, and upholds biblical sexual purity. "The acronym ECO speaks to our commitment to strengthen the “ecosystems” of local churches, providing the resources needed to grow, thrive, and reproduce. Just as earthly ecosystems draw richness from the right kind of diversity, ECO is committed to unleashing the ministry gifts of women, men, young leaders, and every ethnicity. ECO’s name also draws from the Greek term oikos, meaning ‘household,’ used in the Bible to reference the network of relationships that nurture an individual. Jesus-Shaped Identity – Jesus must be at the center of our lives and making disciples of Jesus Christ at the core of our ministry. Biblical Integrity – The Bible is the unique and authoritative word of God, that teaches all that is necessary for faith and life. Thoughtful Theology – We believe in theological education, constant learning, and the life of the mind; celebrating this as one of the great treasures of our Reformed heritage. Accountable Community – Guidance is a corporate spiritual experience. We want to connect leaders to one another in healthy relationships of accountability, synergy, and care. Egalitarian Ministry – Unleashing the ministry gifts of women, men, and every ethnic group. Missional Centrality – Living out the whole Great Commission – including evangelism, spiritual formation, compassion, and redemptive justice – in our communities and around the world. Center-Focused Spirituality – Calling people to the core of what it means to be followers of Jesus – what “mere Christianity” is and does – and not fixate on the boundaries. Leadership Velocity – Identifying and developing gospel-centered leaders is critical for the church, and a great leadership culture is risk-taking, innovative, and organic. Kingdom Vitality – Congregations should vigorously reproduce new missional communities to expand the Kingdom of God. Much more information on ECO is available at http://eco-pres.org. Follow these links to download copies of ECO's Theology document (which includes a list of essential beliefs and description of the core values) and Polity document. And, here are a few FAQs!